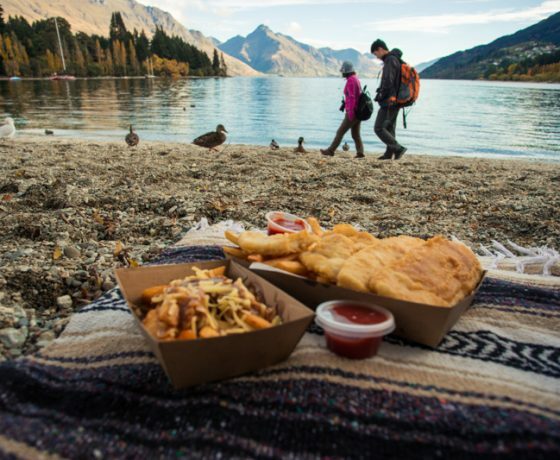 Fish and chips wrapped up in paper has to be one of the most popular takeaways in New Zealand, especially in Queenstown. 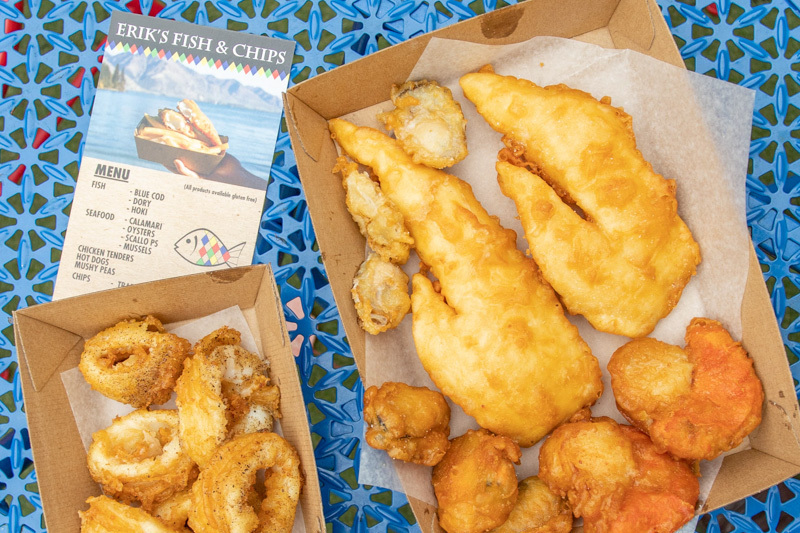 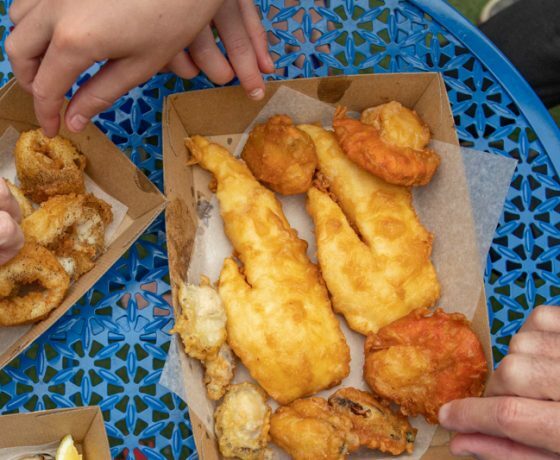 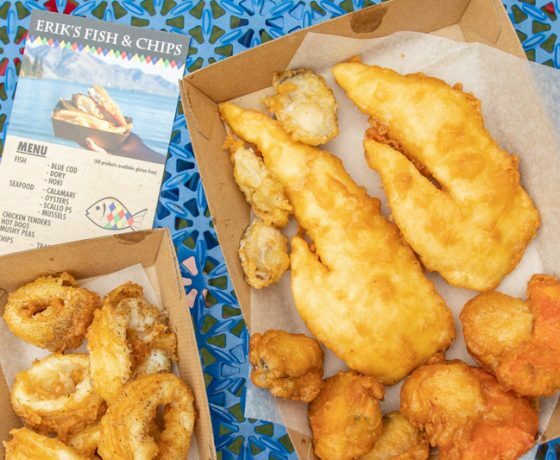 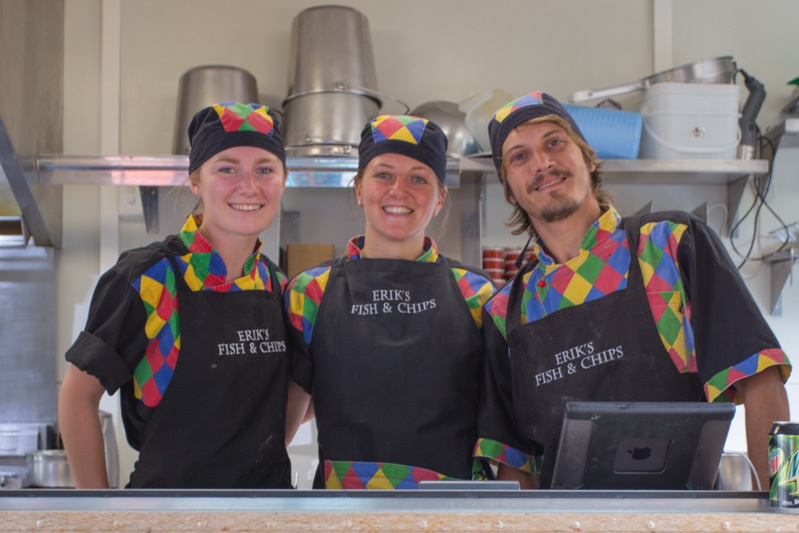 We Kiwis and our international visitors love huddling around a parcel of Fish and Chips along with other battered morsels and Eriks Fish & chips is the locals favourite place to buy them from. 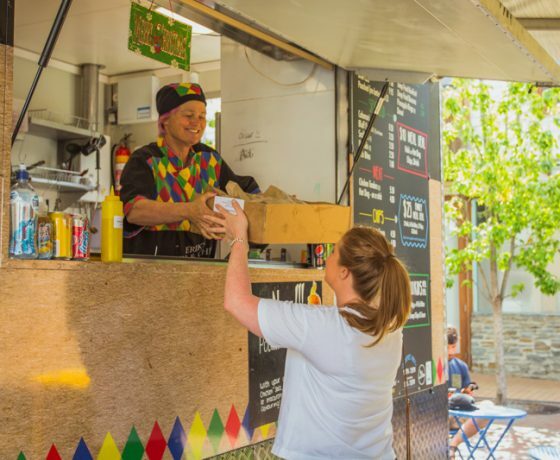 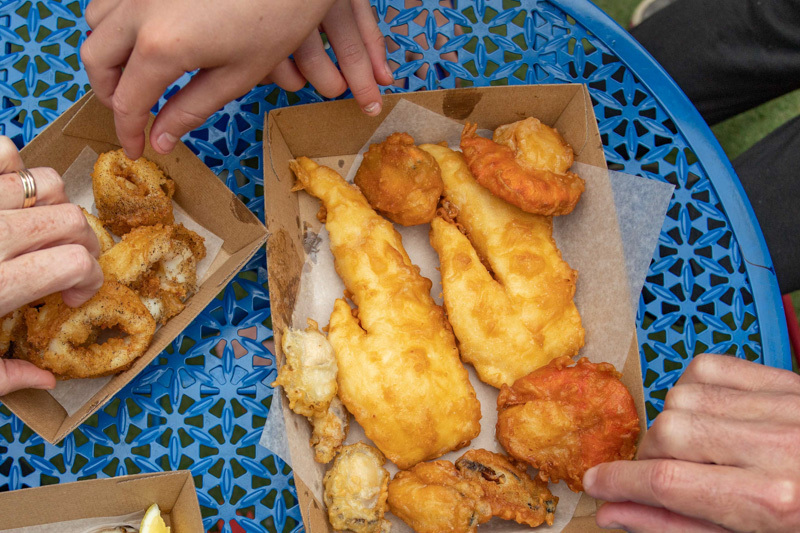 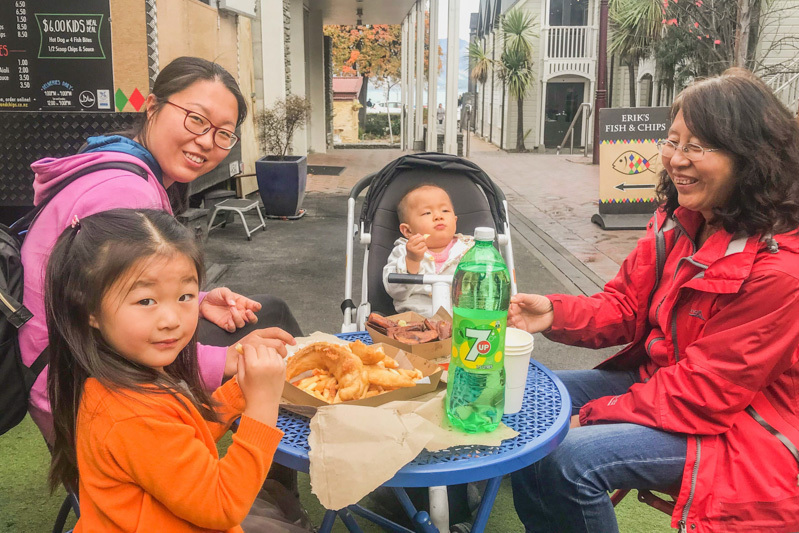 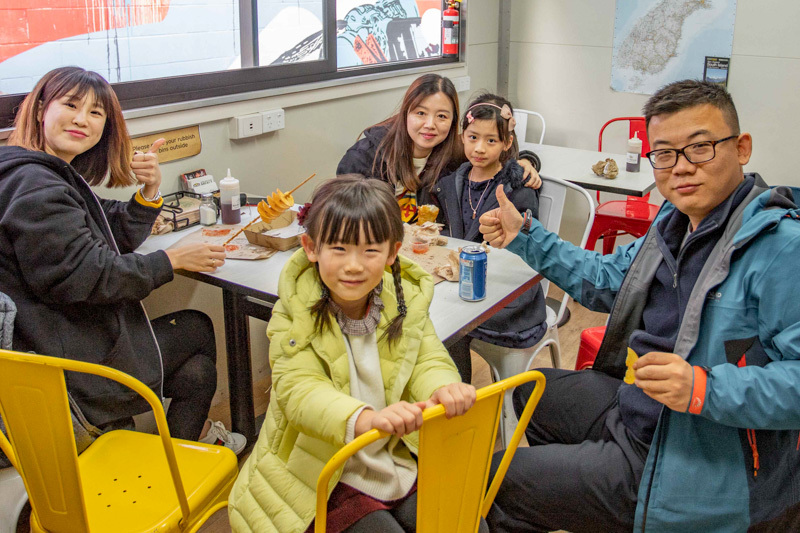 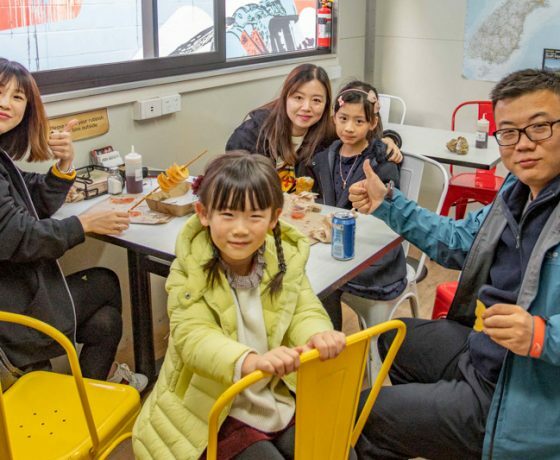 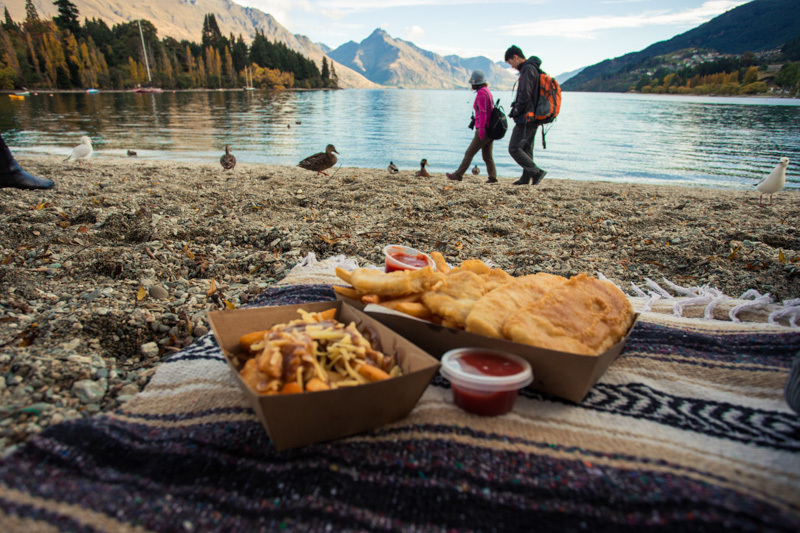 If you’ve toured around Queenstown, you’ll know food can be on the pricier side in this popular hotspot, which makes Erik’s budget friendly fish and chips a welcome relief on the pocket. 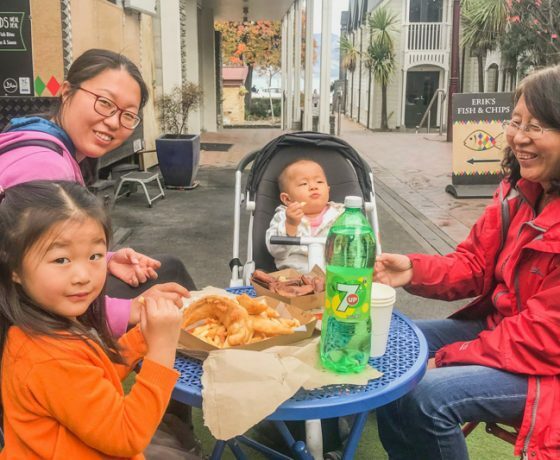 but being Affordable doesn’t mean low quality though! 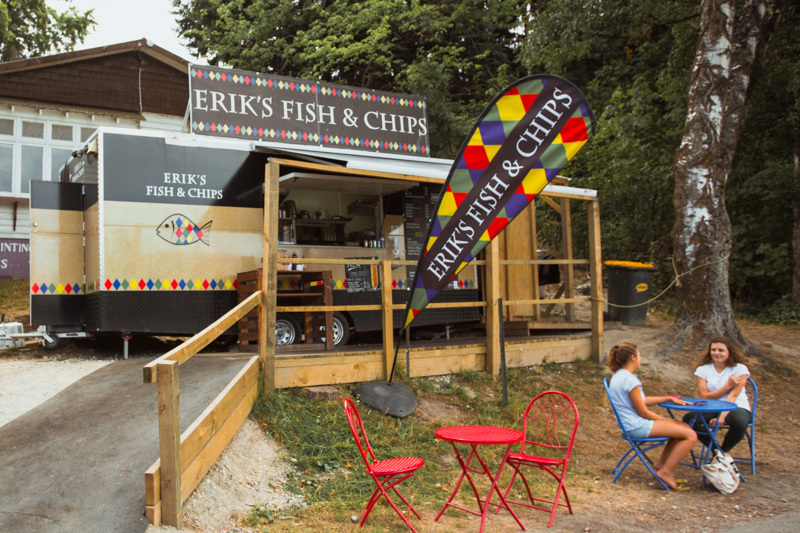 Erik sources the best local ingredients and even has a dedicated gluten free kitchen providing food that is gluten free, dairy free, nut free and halal certified options and is great if you’re on a health kick, but don’t want to say a NO to takeaways. 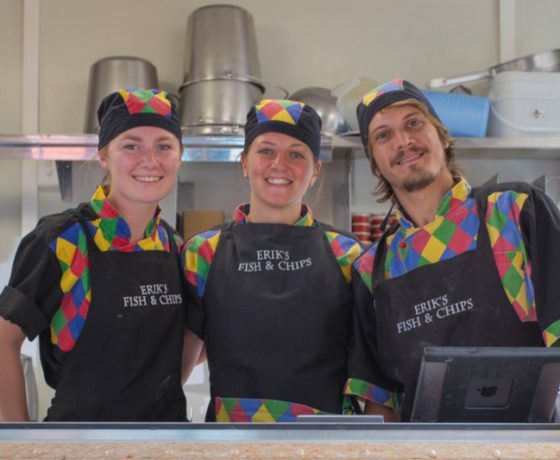 Erik and his staff serve up the traditional Kiwi favourites, like battered Blue Cod and Hoki, tasty calamari rings and of course the humble chip and good old English mushy peas. 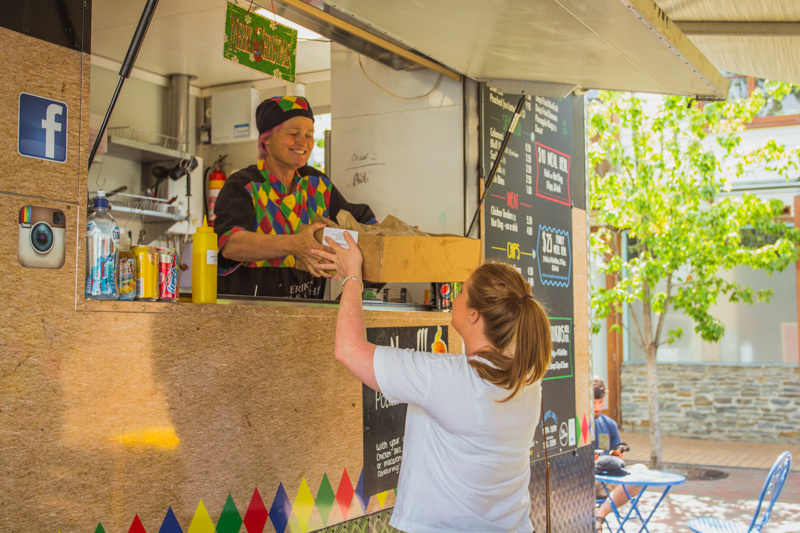 For something a little different try our popular cauliflower bites, red onion wedges or our handmade hot dogs that have been crafted by Erik himself (with love!). 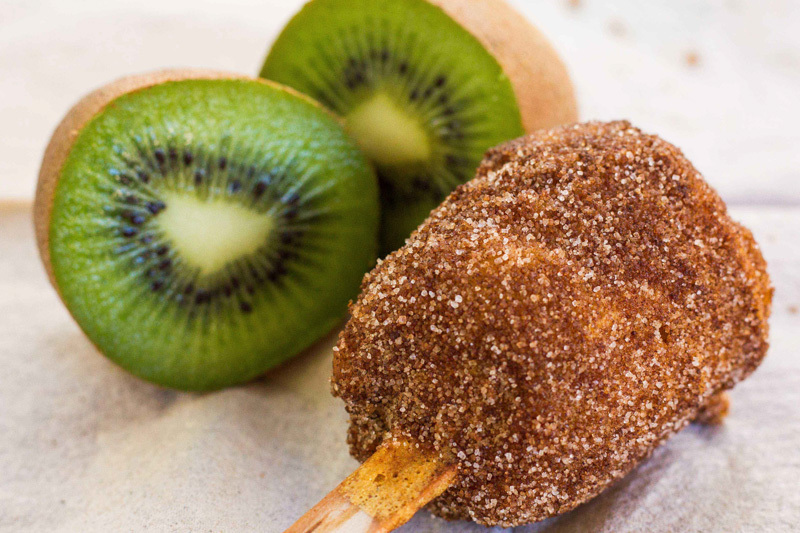 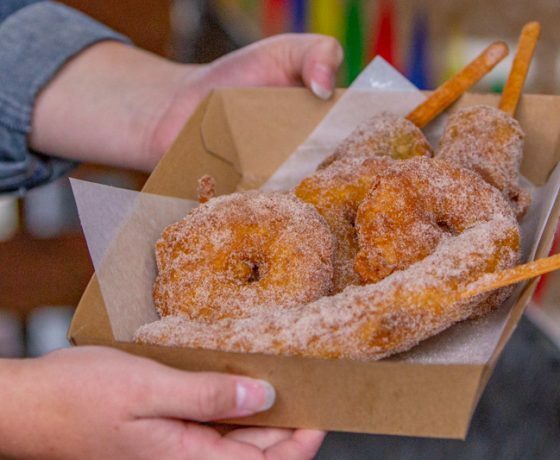 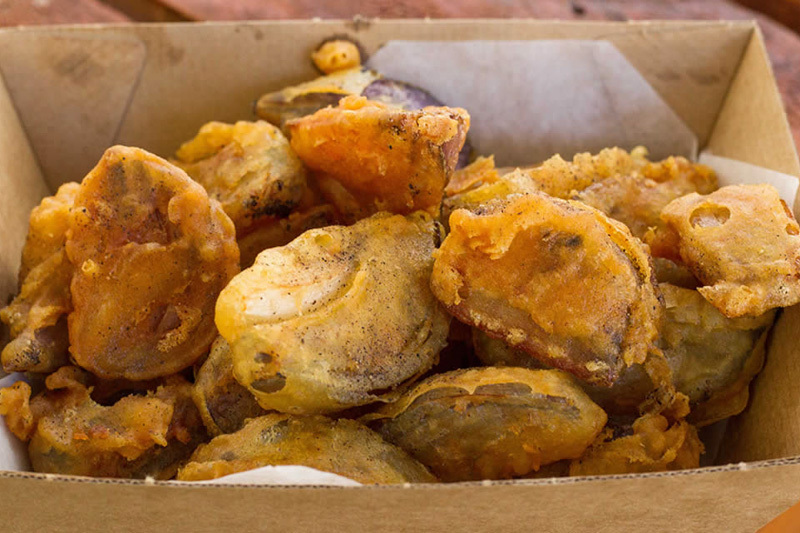 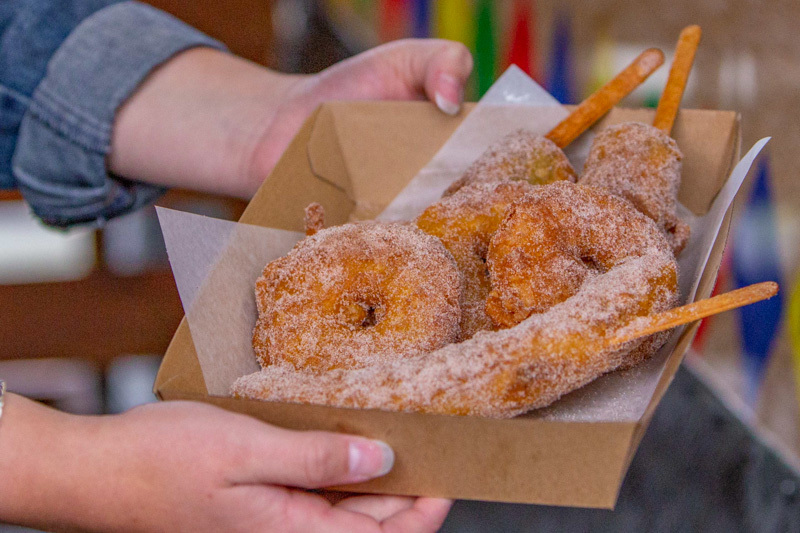 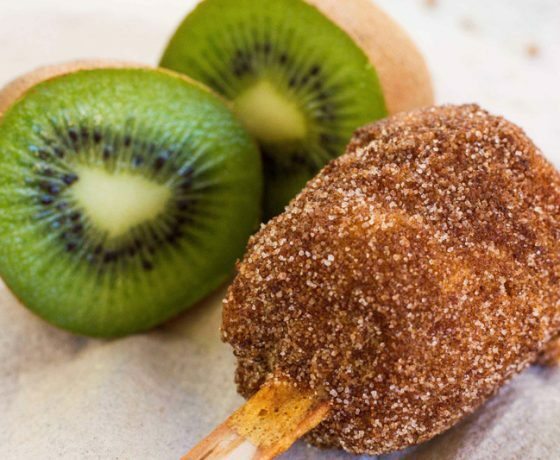 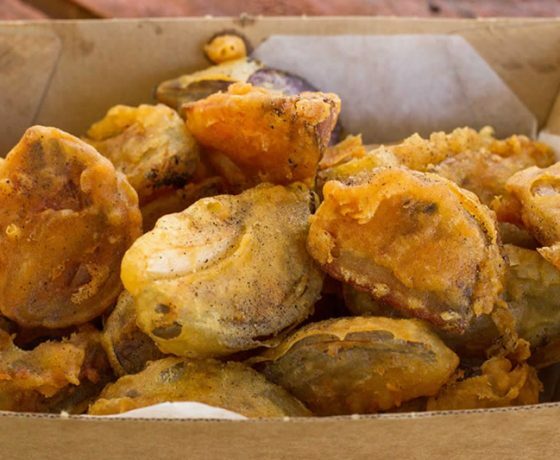 If you’re feeling adventurous, go wild with our deep fried kiwifruit or banana desserts. 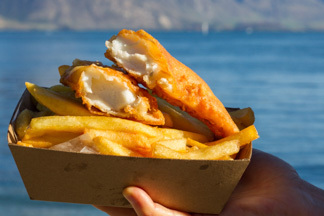 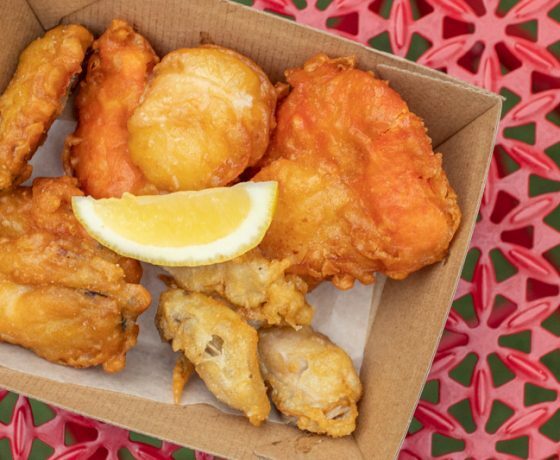 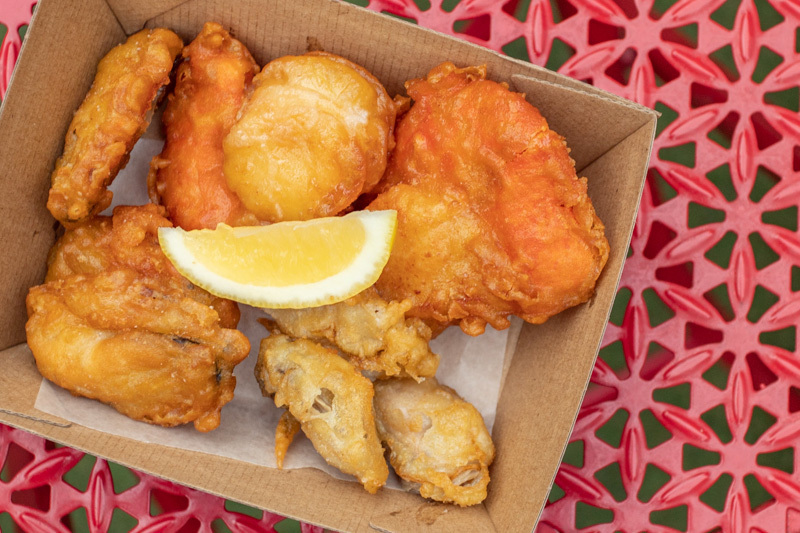 Fish and Chips have been a kiwi tradition for over 100 years. 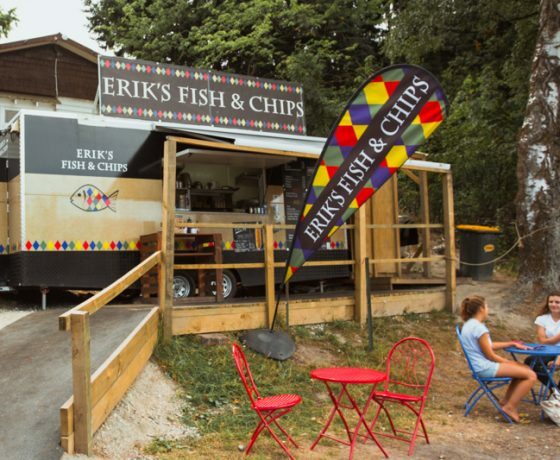 Trying Erik’s delicious fish and chips.